The unit was first activated on 20 October 1939, and assigned to 7th Bombardment Group at Hamilton Field, California. 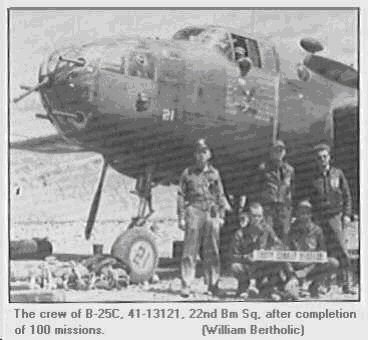 At the time of its creation, the squadron held the designation of the 22d Bombardment Squadron (Heavy) and flew the B-18 bomber and the A-17 attack aircraft. After gathering personnel and equipment at Hamilton Field and conducting training, the unit then re-equipped with the B-17 Flying Fortress and moved on to Fort Douglas, Utah on 7 September 1940, and later to Salt Lake City, Utah in June 1941. In November 1941 the squadron prepared for reassignment to the Philippines, with the ground echelon sailing from San Francisco on 21 November, and the air echelon expected to remain in the States until the ground echelon arrived in the Philippines. Before the squadron's arrival, however, the Japanese attacked Pearl Harbor on 7 December, and shortly thereafter began a campaign against the Philippines. This caused the ship bearing the ground echelon to divert to Australia. Following the Japanese attack on Pearl Harbor, the air echelon conducted antisubmarine patrols along the California coast from Muroc, California from 8 to 12 December 1941 before moving on to Jogjakarta, Java in January 1942. By the end of the month the ground echelon had rejoined the air echelon at Jogjakarta. Japanese forces attacked the Netherlands Indies at about the same time the air echelon arrived, beginning a battle that ended in the withdrawal of United States forces in early March. During the unsuccessful defense of the Indies, the main body of the squadron flew from Jogjakarta, but meanwhile a detachment operated under Navy control from the Fiji Islands and then from Australia. On about 4 March 1942 the squadron withdrew to Melbourne, Australia, where it remained for about a month. In April 1942 the Squadron transferred all of its equipment and personnel to the 19th Bombardment Group. The 22nd Bomb Squadron was reassigned without personnel transfer back to the States. The 22nd Bombardment Squadron (Medium) was organized and, along with 11th Bomb Squadron which was being formed at the same time, attached to 17th Bombardment Group, at Columbia AAB, SC, for training, 26 Apr - 28 May 42. Cadre personnel were drawn from the 89th Reconnaissance Squadron and other squadrons of the 17th Bombardment Group (M).� Incidentally, these same squadrons also provided the crews for the April Doolittle raid on Tokyo. The Squadron was activated at Columbia, SC, on 3 May 1942. with 1st Lt. Robert S. Puckett as the first Commanding Officer. Both the 22nd and the 11th were independent units during the organizational stages, i.e. not assigned to any group.� With the cadre units in place, other personnel began to arrive from various parts of the U.S., by far the biggest contingent coming in from Keesler Field, Miss. The ground echelon sailed from Charleston on 28 May aboard the troop transport, SS Mariposa. They landed at Karachi, India on 23 July and transported by motor vehicle to New Malir, which was referred to as an air base but was in reality a staging area. A small contingent of the 7th Bombardment Group (Heavy) was also stationed at New Malir, with the main portion then in Australia, having evacuated the Philippines earlier in the war. At that point both the 22nd and the 11th were assigned to the 7th Bombardment Group, with the unusual distinction of being medium squadrons assigned to a heavy group. But this was merely for administrative purposes, not for operational assignments. Airplanes were assigned to the Squadron in August, and it began its combat existence, staging out of forward bases in Assam, India. Maj. Frank B. Sharpe assumed command in September when the 22nd was assigned to the 341st Bombardment Group, which had just been formed, with administrative personnel pulled from both the 22nd and the 11th added to those transferred from the 7th Bomb Group. In October 1942, the 22nd was ordered to its new base at Chakulia in southern Bihar, 140 miles west of Calcutta. B-25s and crews began to arrive from the U.S., and a few Doolittle Raiders returned from China to join the Squadron. They were operating as part of the 341st Group, 10th Air Force, with the AF headquarters in New Delhi, India. Additional ground crew personnel soon joined the Squadron, having sailed from Indiantown Gap, Penn. on October 7, 1942. For a short time Maj Berg, who had been in China, assumed command of the 22nd, since he ranked Lt Puckett. However, this was only a temporary assignment until Maj Berg returned to the States. By the end of November the entire Squadron had moved up to Chakulia. Operations were intensified and soon the "Bombing Eagles" were ranging the length and breadth of northern and central Burma, destroying railroad installations, bridges, oil storage areas, factories and supply depots. Missions were flown without slackening through the worst of the monsoons. 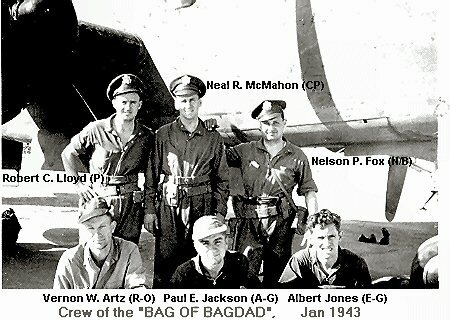 The Squadron with its B-25s became one of the most potent and effective arms of the old India Task Force. In early 1943, the 22nd was split into two to form a sister squadron, the 491st Bomb Squadron. Both Squadrons remained at Chakulia during 1943, with missions on freight and Japanese troop facilities throughout Burma and the Bay of Bengal. In October, 1943, Maj. Puckett returned to the States and Maj. Edison C. Weatherly became Commanding Officer. Also late in 1943, both the 22nd and the 491st were ordered to cut back to "skeleton" squadrons, retaining between half and two-thirds of the personnel that a normal medium operational squadron would have. This in preparation for the Group's move to China. The reason for the reduction was that the only source of supplies to China was Air Transport Command flying the Hump. Space on the transports was pretty much reserved for aircraft parts, gasoline and ammunition, and Gen Chennault did not want the space needed for these essential materials to be occupied by more than a minimum number of men. Consequently, from that time on, all guards and general detailed personnel were supplied by the Chinese rather than by Group personnel. During the month of January 1944, the 341st HQ, now assigned to the 14th Air Force, moved to Kunming, China. During the same time, the 22nd and the 491st moved across the hump to their new base at Yangkai, China, about 50 miles northeast of Kunming. �Despite unfamiliar terrain and weather conditions, they soon distinguished themselves in highly successful sea and rail sweeps along the entire French Indo-China coast as far south as Tourane. Later in the spring, they supported the offensive on the Salween front, attacking supply lines, bridges, and military areas in Thailand and along the Burma-China border. The remainder of 1944 and early 1945, saw the 22nd tasked with interdicting the supply and transportation routes critical to the Japanese war machine. Along with 491st and the 11th, Squadron aircrews perfected bridge busting with the 'glip' bombing technique. As 1945 began, the 341st Group peaked in their ability to deny the overland routes to the enemy, however, there were still reminders everywhere that this was the most remote theater of war. It was still the theater where some of the best guys in the Squadron were to make the supreme sacrifice on the day the world rejoiced because Germany had surrendered. But there was a prevailing sentiment that the tide was turning. The 22nd, fed up with the defensive, was also anticipating the future. It once had counted among its members a few of Jimmy Doolittle's "Tokyo Boys" who showed the way to the heart of Japan. The next set of "Tokyo Boys" would signal the approach to the final kill. Everyone hoped and prayed the day was not too far away. In late July the squadron began receiving the A-26 Invader attack bomber, but the end of the war came before the 22d used the new aircraft in combat. Following the Japanese surrender in August 1945, the 22nd moved to Calcutta, India in mid-September. It remained here only two weeks before departing for the United States. On 1 November 1945 the squadron arrived at Camp Kilmer, New Jersey and became inactivated there the next day. In 1985 the Air Force consolidated the 22nd Bomb Squadron and the 22d Air Refueling Squadron into the 'new' 22nd Air Refueling Squadron. The 22nd ARS was initially activated on 16 Jun 1950 at March Air Force Base, CA, and had no ties with the World War II bombardment squadron. However, this action in effect joined the history of the World War II 22nd Bombardment Squadron with the post-war 22nd Air Refueling Squadron to create one unit out of the two separate squadrons. In May 1997, the 22nd Bomb Squadron's own, David Hayward, published a book of members anecdotes, encompassing the entire history of the squadron; "Eagles, Bulldogs and Tigers: History of the 22nd Bomb Sqdn in China-Burma-India". Then in September 1997, 22nd Bomb Squadron Association web page was published to the Internet. Visit the Association's site (http://www.22ndbombsquadron.com/) to learn about it and about their book from the Secretary-Treasurer, David Hayward. Netherlands Indies, 14 Jan - 1 Mar 42. French Indo China, 11 Dec 44 - 12 Mar 45. Sheridan Express is probably the most publicized B-25 of the 22nd Bomb Squadron. However, 41-13121 achieved its 100th combat mission prior to the Squadron moving to China.